Presented by Dave Watson, VP of Legal Accountability & Compliance Services (LACS), NYCON and Michael West, Esq. Legal Advisor, New York Council of Nonprofits, Inc. Though many nonprofit staff and board members may think that bylaws are just something you have to do have to start your organization - oftentimes drafted, reviewed, approved and promptly shelved away -what some don't realize is that your organization is governed by that document and, as such, bylaws spell out what you can and can't do by way of good board governance. Our webinar is designed to help you understand key bylaw clauses, how they affect your organization and how the new developments in New York regarding nonprofits may impact your bylaws. If you missed our previous "Budget and Cashflow Toolkit Webinars" don't worry because there's another one coming up in July! Just in time for budget and cash flow planning, we've developed a new benefit for our members that will truly be the "best friend" of every fiscal person who uses it! Designed with the needs and resources of the smaller to medium sized nonprofit in mind, NYCON's CFO and her staff have designed a "foolproof" tool for developing a streamlined, compliant and easy to understand budget. Built in instructions on "Getting Started" and "How to Develop Your Budget"
Templates that your organization can utilize to customize for your own organization's budget and salary and fringe expenditures. 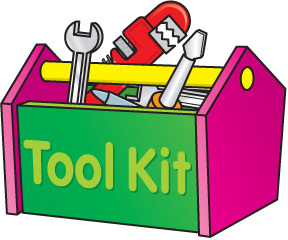 Budget Toolkit, will be a great addition to any nonprofit fiscal office. With funding being tight and payments from state contracts and other funders becoming less timely and reliable, it is essential for a nonprofit to attempt to monitor its own cash flow. This toolkit, like our Budget Toolkit, takes the mystery out of forecasting and helps to guide you step-by-step through the process. See how these tools can help your nonprofit. In our "Get to Know Us" Sessions, NYCON staff will tell you a lot more about our membership benefits - and answer all the questions you have regarding our process, costs and what you get for FREE. Nonprofit Training, Education and Professional Assistance NYCON empowers our members with the best practices, policies, and procedures as well as information on ever-changing regulations, funding, accountability and more. Cost Savings Solutions for Nonprofits NYCON leverages the purchasing power of thousands of nonprofits to bring you economies of scale on everything from Office Supplies to Fundraising Software. The Nonprofit Voice in New York State NYCON represents our members on the local, state and national level, giving voice to small and medium sized nonprofits everywhere. Camp Finance 2013: Rethink, Retool & Reboot! Camp Finance is an unparalleled opportunity for your staff and board members to retreat, learn, network and make lasting connections with peer and nonprofit experts. "Knowledgeable speakers and real life experiences." "Gave me take away tools I can use." "It was a great time to step away and reflect on some critical issues for our organization in the context of a great group of professionals. I had some important questions answered and discovered some new questions I needed to be asking." "The speakers were very approachable and helpful as were all NYCON staff. Of course the setting and food served were very WOW." Camp Finance has always been a source of information, encouragement and support for nonprofits in New York State - especially through our most challenging times. It's a chance to engage with leading nonprofit experts, your nonprofit peers, and take back useful knowledge and tools to your nonprofit. 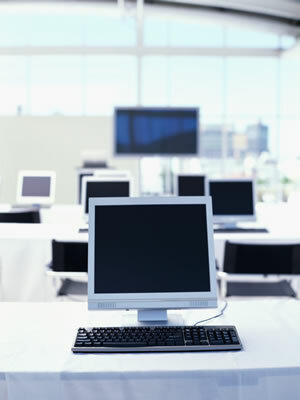 Check Out Our Recorded Webinars! Thanks to the support of CS Plus,NYCON's popular Lunch & Learn Webinars are now being recorded and will be available for members for up to six months! Social Media Myth Busting: If You Build it Will They Come? NYS Grants Portal Opens: A "One- Stop Shop"
Most nonprofits care a lot about their donors. But do you have the right donor management system to help you keep track of them? Navigating the choices you have when choosing a donor management system can be daunting. That's why Idealware has created the online course, "The Donor Management Systems Toolkit", to help you navigate the choices. Idealware will cover the principles of good storytelling, look at examples and research about what's working for nonprofits, and then discuss the tools that can help you put them online. Comprehensive tax reform remains on track despite the political scandal involving the Internal Revenue Service and the looming debt limit debate, according to the chairmen of the two tax-writing committees in Congress. Senator Max Baucus (D-MT), chair of the Senate Finance Committee, stated that he thinks the IRS “revelations are frankly helping to spur and help people realize the need for reform.” He has also suggested tax reform could be linked to raising the debt ceiling as a potential compromise to prevent a government shutdown. Representative Dave Camp (R-MI), chair of the House Ways and Means Committee, has indicated that Republicans hope to include a tax overhaul and possible changes to entitlement programs in a deal to raise the debt limit, which is likely to be negotiated in September or October. To keep momentum moving forward on comprehensive reform, Baucus and Camp plan to make joint appearances across the country to promote a tax overhaul, as they also host several bipartisan, bicameral lunches for rank-and-file members. Sequestration – the arbitrary, across-the-board spending cuts enacted by Congress when it couldn’t reach agreement on a rational deficit reduction plan – is imposing measurable harm to programs serving older and younger Americans. Seventy percent of Meals on Wheels providers report being forced to reduce the number of meals served to elderly people as a result of sequestration, according to a nationwide survey conducted by the Meals on Wheels Association of America (MOWAA). Individual programs are cutting an average of 364 meals each week and waiting lists for meals have increased by an average of 58 seniors, according to the survey. Likewise, children across the country are losing access to early education. Sequestration cuts are pushing 70,000 children out of Head Start classrooms, 20 percent more than federal authorities originally anticipated. InMassachusetts alone, 1,359 fewer children will benefit from Head Start services compared to last year. The National Council of Nonprofits is collecting stories from nonprofits affected by sequestration and other cuts at www.GiveVoice.org to help nonprofit leaders relay to policymakers the human consequences of sequestration – consequences that could be felt for decades. Nonprofit tax exemptions and charitable deductions are very much at the center of the debate over tax reform in North Carolina, with the House and Senate split over whether and by how much to undermine the ability of charitable nonprofits to succeed in serving local communities. The House-passed tax reform plan would cap all itemized deductions but expressly preserves the charitable giving incentive. The bill maintains current sales tax exemptions for all charitable nonprofits, including arts groups, but repeals the current tax credit for individuals who do not itemize deductions. The House bill is now in conference committee with a more severe Senate tax package that would cap the charitable giving incentive and limit sales tax exemptions for many nonprofits, while reducing individual income tax rates and phasing out corporate income taxes. The Senate bill would also eliminate the tax credit for non-itemizers, cap sales tax refunds beginning July 1, 2017 for nonprofits paying $100,000 or more in sales taxes, and require nonprofit arts groups to charge sales tax on admission fees, among other things. The North Carolina Center for Nonprofits has developed a comparative chart and other excellent resources for understanding the issues and taking action to oppose these harmful measures. Texas Governor Perry signed legislation creating the Texas Nonprofit Council, which will work with the Interagency Coordinating Group of state government agencies to strengthen collaboration between government and the nonprofit sector. The Texas Association of Nonprofit Organizations was a strong advocate for the legislation and will remain active in promoting efficiency and cost savings that benefit taxpayers, as well as nonprofits and the people they serve. The Iowa Nonprofit Collaborative has commissioned a study of government-nonprofit contracting practices in the state. The survey goes into detail looking at the effectiveness of RFP processes, performance measurement, payment for services, and other relevant issues. State legislatures in recent years have considered various proposals to change the rules governing for-profit enterprises to enable greater socially-focused activities. Last week, Nevada joined the list of states that recognize benefit corporations, a new for-profit corporate form that clarifies fiduciary responsibilities of board members to recognize that both social benefit and profits are appropriate concerns. In North Carolina, lawmakers reversed course on low-profit limited liability corporations (L3Cs), repealing legislation passed in 2010 allowing their formation; the legislation awaits the Governor’s signature. L3Cs are another recent form of for-profit entities with social interests that are allowed to seek funding from private foundations. Existing North Carolina L3Cs would be grandfathered in the legislation. New York Attorney General Eric Schneiderman approved newtransparency standards and regulations for the electioneering activity of 501(c)(4) social welfare groups. Under the rules that took effect on June 5, social welfare nonprofits are required to report their political spending and itemize their activities if the total exceeds $10,000 per year. Social welfare organizations active in elections with expenses of more than $10,000 are also required to list large donors who gave more than $1,000, ending the anonymous flow of money into political campaigns via these groups. Attorney General Schneiderman hopes New York will serve as a model for similar regulatory reforms elsewhere. Charitable nonprofits organized under Section 501(c)(3) are prohibited from engaging in election-related activities and are not affected by the new regulations. An intense, grassroots campaign led by the Maine Association of Nonprofits inspired legislators to reject an amendment that would have imposed a two-year, two percent tax on nonprofits with $500,000 in assets and annual gross receipts of $200,000. However, the goal of the proposal to levy taxes on certain nonprofits remains intact and has been inserted in the state’sbiennial budget as a study. The measure would create a task force to review the feasibility of imposing taxes, fees, or payments in lieu of taxes (PILOTs) on certain nonprofit organizations, with the goal of generating approximately $100 million in revenue annually. A representative of the Maine Association of Nonprofits would be one of four stakeholders serving on the task force, demonstrating that standing up for mission and fellow nonprofits engenders respect from policymakers, regardless of their policy goals. Tax-Exempt Organizations and Charitable Giving, Senate Finance Committee Staff discussion paper, June 13, 2013. Federal Contracts and Grants for Nonprofits, Sarah L. Pettijohn, Urban Institute Center on Nonprofits and Philanthropy, May 2013, an issue brief explaining the variety of funding mechanisms used by the federal government to pay nonprofits to deliver services for the government. Legislative Review 2013, Pew Charitable Trusts State and Consumer Initiatives, June 14, 2013, a five-part series byStateline on legislative developments so far this year in the states, focusing on politics, health care, taxes and budgets, social issues, and economic development. 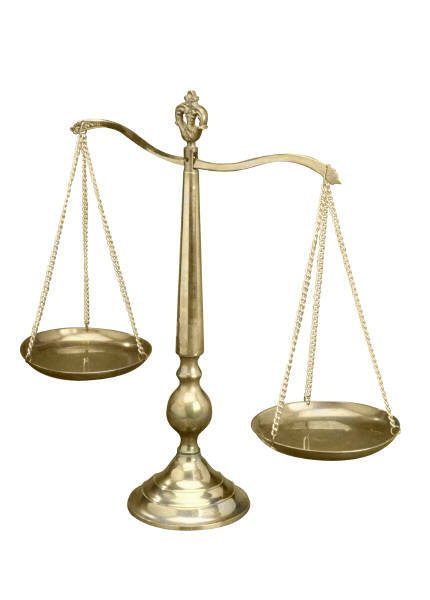 “Nonprofits Seek Government Document Standardization,” theNonProfit Times, June 10, 2013, summarizing the findings of the National Council of Nonprofits report, Partnering for Impact: Government-Nonprofit Contracting Task Forces Produce Results for Taxpayers. New York Attorney General Eric Schneiderman, Crain’s New York Business, June 16, 2013, making the case for regulatory reform legislation. Did you receive this email from a friend? Sign up now to receive this free e-newsletter every otherMonday. Presented by Frederic J. Buse, Managing Director, Schwartz Heslin Group, Former Director of Unemployment Insurance, NYS; Department of Labor and Michael West, Esq. 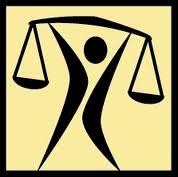 Legal Advisor, New York Council of Nonprofits, Inc. Virtually all employers in New York State - including nonprofit employers - must provide workers' compensation coverage for their employees. For many nonprofit arts organizations specifically the world of workers comp gets, well, more complicated. Many organizations have seasonal, time delimited or specialized artistic talent working on projects, shows, performances or exhibits. Determining who should and shouldn't be covered is a priority for arts organizations and can save time, money and legal wrangling down the line. This webinar will cover the details of workers comp as it applies to the special needs of nonprofit arts groups, how to determine "employee" status and risks of not properly defining employment status. We will also be discussing recent trends in New York State in regard to workers comp. Designed with the needs and resources of the smaller to medium sized nonprofit in mind, NYCON's CFO and her staff have designed a "fool proof" tool for developing a streamlined, compliant and easy to understand budget. On our webinar we will also show you an example of the new "Cash Flow Toolkit" which, just like the Budget Toolkit, will be a great addition to any nonprofit fiscal office. Nonprofit Training, Education and Professional AssistanceNYCON empowers our members with the best practices, policies, and procedures as well as information on ever-changing regulations, funding, accountability and more. 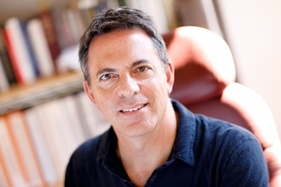 Dan Pallotta as this year´s Keynote Speaker at Camp Finance on Thursday, October 10th. "Uncharitable: How Restraints on Nonprofits Undermine Their Potential"
The way we´ve been taught to think about charity and change is upside down, argues Dan Pallotta. If we changed the way we think about charity, charity could change the world. Our Camp Finance keynote, based on Dan´s book, Uncharitable, the best selling title in the history of Tufts University Press, will challenge you to change the way you think about charity. The Stanford Social Innovation Review said Uncharitable "deserves to become the nonprofit sector´s new manifesto." Don't Miss this event. Register Now. Given the financial challenges of the past few years, your participation at CAMP FINANCE 2013 offers a welcome opportunity for New York's nonprofits to convene, access experts and connect with peers as we look to the future. Celebrating our 12th year, Camp Finance provides the very best in knowledge, skill and strategy sessions for your staff and volunteer leaders. This year´s workshops are responsive to your professional development and organizational needs with the latest information and tools to empower you to continue to build an effective, compliant, vibrant and sustainable nonprofit organization. From basic concepts to best practices, CAMP FINANCE 2013 has something for everyone. Being Recorded & Archived for Members! June 20, 3:00 pm -4:00 pm Eastern. We all know that the right database can make managing donation histories, contact information, and other critical donor information easier. This group is supported by the New York Council of Nonprofits, formerly Council of Community Services of New York State (CCSNYS), and the Institute for Human Services, and offers nonprofit executive directors opportunities for networking and professional development.